Building 312 was built in 1894 to construct new, larger carriages for 8-, 10- and 12-inch guns and field mortars. It was part of the original Seacoast Gun Carriage Complex. In 1917, Building 312 became a heavy machine shop. Its large, open workspace and high ceilings were ideal for building the large machining tools needed for the 14- and 16-inch gun carriages, including the massive 41-foot Gleason gear cutter, one of the largest of its kind in the world. In 1960-61, the large machine tools were replaced with laboratories conducting metals and ceramics research for the Army Materials Research Agency. Projects included developing new techniques for growing synthetic sapphire crystals, using shock wave testing to determine the strength and tolerances of various metals, and building a gas-powered ballistics range. Building 311 was one of the first buildings constructed in 1917 to meet growing production demands for WWI, and it was built in just over nine months. At 462 feet long and 158 feet wide, this steel-framed building was believed to be one of the largest of its type in the country. The building was used to construct 14- and 16-inch gun carriages. Three hundred feet of railroad tracks extended from the doors at the eastern end of the building, and large rail cranes hung overhead for moving heavy parts and machinery. The largest cranes had a capacity of 225 tons. In 1942-43 the Army built a western addition that doubled the size of the building. It included space for a new experimental x-ray facility with a one million volt x-ray machine for non-destructive testing of metals. Building 311’s production facilities and x-ray testing remained active through the 1950s and early 1960s. Projects included assembly of prototype artillery pieces and machining an 800-ton cyclotron magnet for Harvard University. Built in 1851, Building 37 is the oldest standing industrial building in the Arsenal on the Charles. 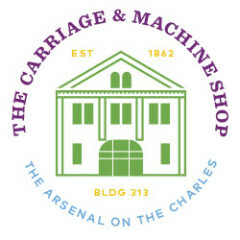 The building has had many lives—first as a storage and drying facility for wooden guns, carriage and caissons and then as a manufacturing hub of large gun carriages during the Civil War through WWI. When iron replaced wood as the primary material for gun carriages in the 1890s, Building 37 was turned into a foundry that produced steel, iron and brass castings in huge quantities—2,000,000 pounds in 1907, which was 45 times the amount produced there just two decades earlier. 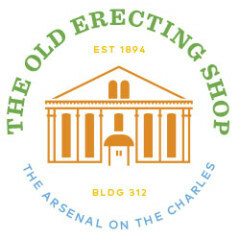 Built in 1851, Building 37 is the oldest standing industrial building in the Arsenal. The building has had many lives—first as a storage and drying facility for wooden guns, carriage and caissons and then as a manufacturing hub of large gun carriages during the Civil War through WWI. When iron replaced wood as the primary material for gun carriages in the 1890s, Building 37 was turned into a foundry that produced steel, iron and brass castings in huge quantities—2,000,000 pounds in 1907, which was 45 times the amount produced there just two decades earlier. Building 39 was first built as a factory for Vose and Sons pianos in 1922. Two decades later, in 1941, the Army bought seven acres of land, including the building, which was owned by Simmons Mattress Co. From World War II through the early 1950’s, Building 39 housed a machine shop, the machine tool division of the Arsenal’s Apprentice School, and divisions of government agencies, including the U.S. Atomic Energy Commission and the U.S. Air Force Geophysics Laboratory. In 1953, the entire building was converted into the Watertown Arsenal Laboratories, where research focused on metals and ceramics, organic materials and mechanics, and structural integrity. Much of the lab’s work is just beginning to be de-classified. For over 80 years, Building 60 served as the central source of power and heat to buildings across the Arsenal. The oldest part of the building was constructed in 1913. Steam engines on the upper level produced electricity. Three boilers on the lower level generated steam for heat and to power large steam hammers in the smith shop. A 150-foot smokestack carried the smoke and ash from the coal-fired furnaces. The building was expanded in 1915 and 1917 to keep up with the Arsenal’s growing demand for power and steam. 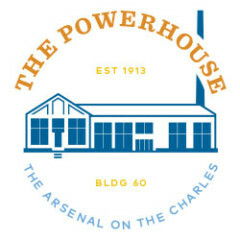 By 1919 cheaper electricity rates led the Arsenal to shut down its electric power production, and the old steam-powered generators were sold off in 1926. At the start of WWII, a second 150-foot chimney was built next to the building. In 1953, the original chimney was taken down, and six boilers were replaced with three more efficient models. Building 60 supplied steam heat to buildings on the Arsenal until the closing of the Army Materials Technical Laboratory in 1995. Built in 1861, Building 43 is one of the oldest in the Arsenal on the Charles, and was a part of the original Seacoast Gun Carriage Complex. The building was one story high, 300 feet long and 56 feet wide. It was equipped with machines to forge the cast iron components for the carriages of large seacoast cannons designed by the Arsenal’s commanding officer, Thomas Rodman. During WWI, a second story addition was built to house new equipment to construct even larger components for 14- and 16-inch seacoast gun carriages. Operators used two and three-and-a-half ton steam hammers to forge steel castings as large as 8,000 pounds. After World War II, Building 43 supported the Arsenal’s ongoing research activities with experimental and specialty forgings. 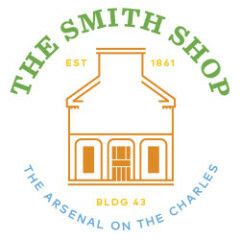 It is one of the only buildings to retain its original use throughout the arsenal’s history. 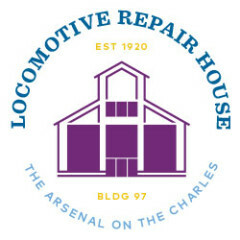 Building 97 was constructed in 1920 to house and repair the Arsenal’s fleet of locomotives, switch cars and cranes, which moved freight and equipment around the grounds over seven-and-a-half miles of railroad tracks. 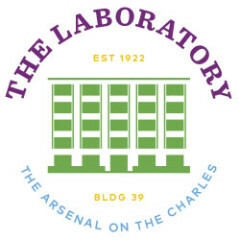 In 1959, Building 97 was transformed into a materials testing laboratory and equipment facility supporting the Horace Hardy Lester Nuclear Reactor. Building 97 was connected to the reactor through a corridor and had labs, decontamination showers, and equipment supporting ongoing experiments involving the reactor. In 1970, the reactor was shut down, but Building 97 continued to function as an active laboratory, utilizing a portable neutron radiography machine located inside the reactor containment building. 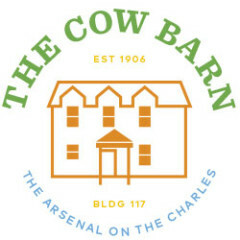 Building 117 was built in 1906 as a barn for cattle. 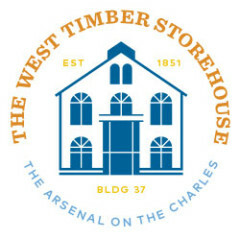 In 1936, the Works Progress Administration brought a Works Relief Program to the Arsenal to repair buildings and update electrical and heating systems. As a part of this program Building 117 was converted into an officer’s quarters, just in time to house the flood of new officers who were assigned to the Arsenal during WWII. Building 117 continued to function as residence for officers on the Arsenal grounds until the closing of the Army Materials Technical Laboratory in 1995. 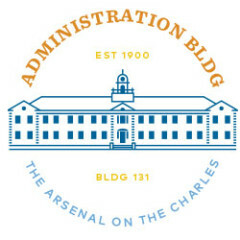 Built in 1900 and designed by Boston architect Charles H. Alden, the Administration Building was a symbol of the Arsenal’s rising prominence in manufacturing and research. Alden designed the building to resemble Philadelphia’s Independence Hall, with a rectangular shape, colonial revival styling, and a cupola with a four-sided clock. The building’s location on Talcott Avenue was nearby both the Arsenal’s manufacturing complex and the research labs. 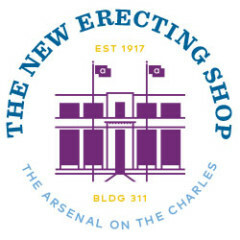 As demands increased on the Arsenal during WWI and WWII, Building 131 expanded. Additions in 1917 and 1918 tripled the building’s size. In 1943, an enclosed inner courtyard was added. Building 313 is one of the oldest buildings in the Arsenal on the Charles, and was a central part of the original Seacoast Gun Carriage Complex. The building’s unique u-shaped design served as the central hub for production of both wood and cast iron gun carriage manufacturing from the Civil War to WWI. In 1892, Building 313 was updated for the production of a new generation of large disappearing seacoast gun carriages and field mortars. After WWII, Building 313’s machine shops were redirected for use in studying new types of metals, ceramics and other synthetic materials. Research included testing new types of metallic, composite and synthetic armor, which led to the use of Kevlar in body armor and helmets, and the design of specialized armor for presidential limousines and helicopters.